Based in Meigle, Blairgowrie, Wolfberry Media provides a variety of web design services in Fife, Scotland. If you have a small business or even a business idea and are in need of a website, then we can help. We offer a full start to finish, high quality, business website package for small businesses, including design, web development, SEO, local SEO, content writing, support, training and maintenance, all in one handy package, this also includes a 100% free site audit if you have an existing website. One area which we have recently started expanding into is the design & development of quality online eCommerce stores, using popular publishing platforms to increase revenue for business owners. The reason that eCommerce stores are now flourishing is that more and more people are now shopping online, and while this might not be a good thing for some small business owners, bringing your products online ensures that your store can open and trading 24x7. We can provide a comprehensive SEO service, allowing your business to be found online for the keywords which matter the most and which can bring you the most traffic and leads. While all of our sites come with basic on-page optimisation and plenty of keyword research, we can also provide a monthly SEO service to suit your specific business needs and budget. Local search and Google Maps are becoming an ever more increasing aspect of business owners being found online, this is especially true of storefront businesses with a physical location. We can help you increase your local reach by analysing and optimising your Google My Business listing and local citations, ensuring that your details are correct and present across the web. We can build your business an online store, allowing you to sell your products online safely and securely. Our solutions are easy for a business owner to manage, plus we're always available for advice should the need arise. With a choice of packages, solutions and platforms available for eCommerce stores, we can be sure to build the best one for your online business. At Wolfberry Media, we can provide you with weekly, monthly or quartely analytics reports, with in-depth analysis as to what your customers are doing on your site, where they are visiting from, any issues which they may be having while on your site, and also the keywords they are using to reach your site. This can all be arranged for either a monthly fee, or per report. We can produce copy for your pages, including research into the topic and SEO friendly copy. We can also team up with excellent, curated bloggers who specialise in a particular niche, such as health, fitness and so on, providing top-notch copywriting which helps your site to rank and keeps your visitors coming back for more. If you want to make your mark on social media, whether that be Facebook, Twitter, Instagram, Pinterest or any of the other popular social media channels available, we can help you choose a platform which fits your niche best, provide advice on how to make the most of your social media output, or even provide a management service for those of you whu just haven't got the time. We can help you grow and reach out to your current customer through the use of email marketing, using the MailChimp platform, we can design your forms, emails and even provide training on best practices, email designs and general upkeep of your email lists for a small monthly fee. If you want to keep track of how your keywords and key phrases are performing in the search engine results, let us know and we can design a package to track your results, providing frequent updates on where the keywords are ranking, what keywords are performing the best, and any gaps that you could fill in the market by branching out with new keywords and content. We can provide a simple website maintenance for your pre-existing website. You might need monthly WordPress updates, a few products adding to an online store every month, or even a one-off task. Whether its a small or large job, monthly or one-off, let us know and we'll do our best to help. If you already have an online presence, but you're maybe not getting the results you need, we can provide a free basic SEO audit for your site, as well as a report which shows the issues the site is having, and what our fee would be to fix these issues and for any ongoing recommendations. As you can see, we can provide practically any online services which you require for your small business. We don't just build a website and leave it at that, we ensure that you really do benefit from having an online presence, providing feedback, tips, and suggestions as to how we can improve and grow your existing site and business. 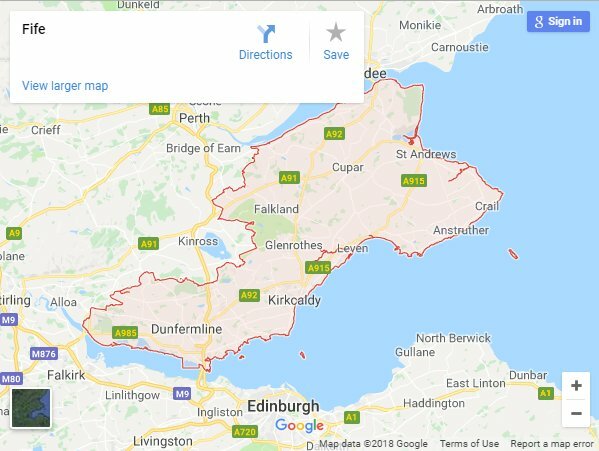 The areas of Fife which we cover includes Glenrothes, Kirkcaldy, St Andrews, Dunfermline, Auchtermuchty, Newburgh, Rosyth, Cowdenbeath, and Cupar. So if you're a small business owner searching for a quality web design company in fife, who needs a new, modern website for your business, then give us a call on 07914798549 or send an email to enquiries@wolfberrymedia.co.uk for a free quote. I can highly recommend Kieran. First class service. He Designed our website, suggested things to add, different layouts etc. He still keeps in touch with suggestions to improve it. Nothing is too much trouble. Great service. Thank you. Very professional services, Highly recommended, Wouldnt use anyone else! Great service and good communication. I am very happy with my new website. I can thoroughly recommend Kieran @ Wolfberry Media. Kieran has helped me over the past year in designing the website for my Self Catering Cottages. I have found him to be extremely helpful and am delighted with the end result.